Sink into vacation mode with this heady American piece! 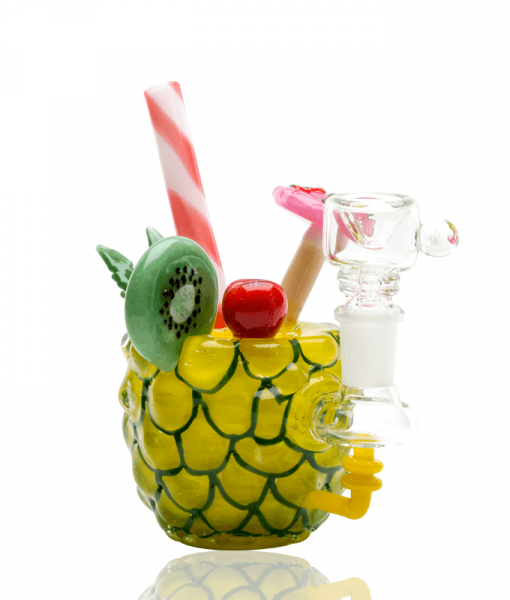 The pineapple dab rig features a fully worked tropical design. It features a reinforced female banger hanger design and a straw neck mouthpiece. Comes complete with a clear 14M opal bowl slide.